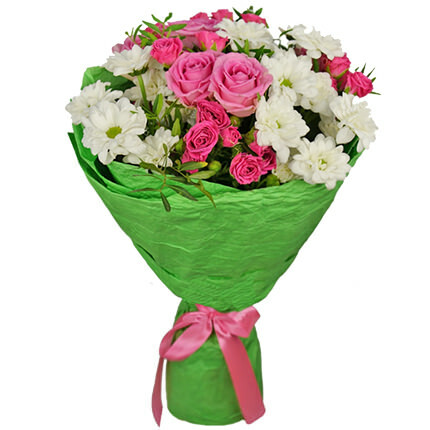 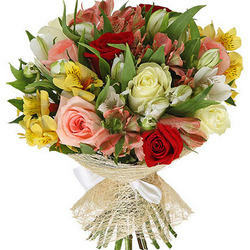 Delicate bouquet will pass your affection, care and true love to the recipient! 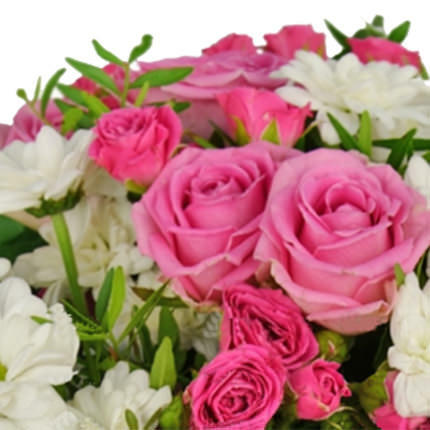 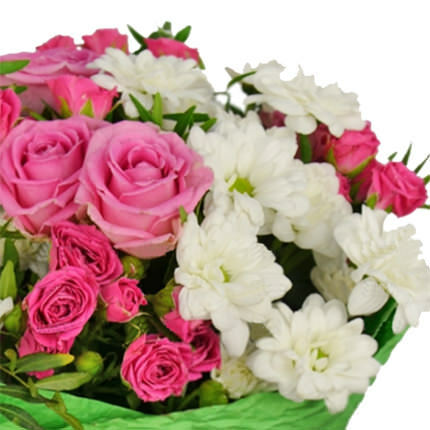 Composition: 5 pink roses, 3 branches of spray pink roses, 4 branches of white camomile chrysanthemums, greenery, decoration. 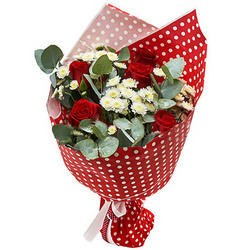 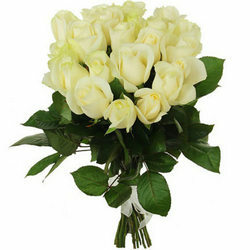 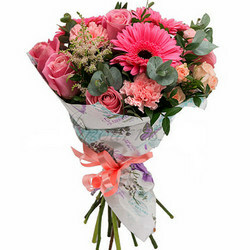 20032019 © Flowers.ua Bouquet "You're always there"